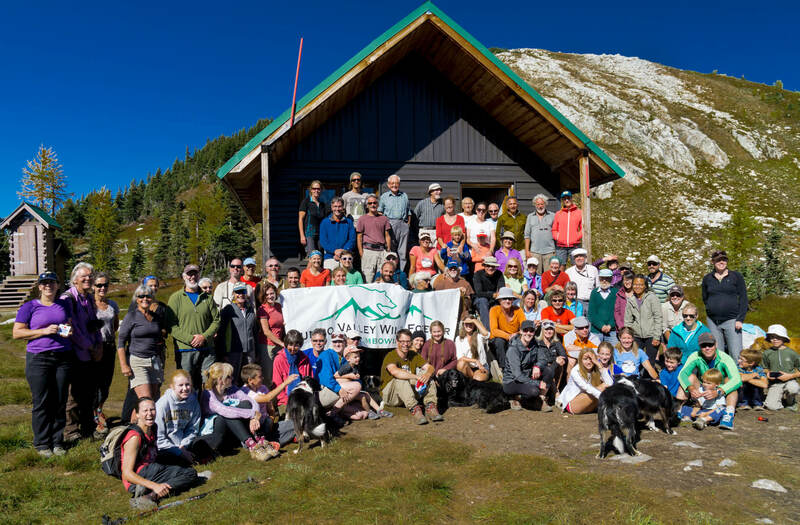 Upwards of 100 hikers from the East and West Kootenays, infants to octogenarians, converged at various points in time at the Jumbo Pass hut on Saturday, September 20 to celebrate the wild Jumbo Valley. The popular annual hike, organized by Wildsight and the West Kootenay EcoSociety, attracted wilderness fans from Invermere, Cranbrook, Kimberley, Nelson, Kaslo, Argenta and coincided with the splendour of the autumn larches. The Jumbo Monitoring Camp, located at the junction of Leona and Jumbo creeks, is monitoring construction activity taking place in the Jumbo Valley and will stay functional until mid October.